While feeding your baby is a great time to bond with them, it can often feel like a chore. Especially when there is a huge mess to clean up afterward. Purchasing bowls that are specifically designed for babies will help reduce the mess as well as make feedings easier in general. 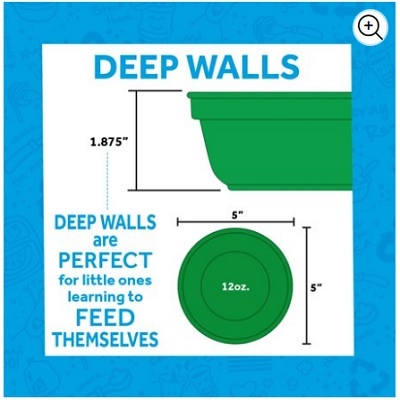 For instance, many baby bowls are designed with suction cups to keep them in place while your child is eating. 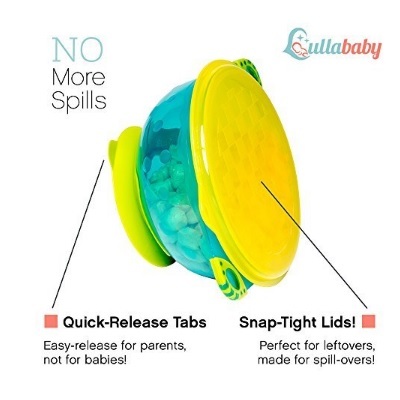 Instead of us going on and on about all the benefits and cool features baby bowls have, we think it would be easier for you to read through our list. We recently updated our list by removing any products that were out of stock and replaced them with products that are available. We made sure all of the products on the list are popular and well-reviewed. We also changed our format to make this guide more user friendly. 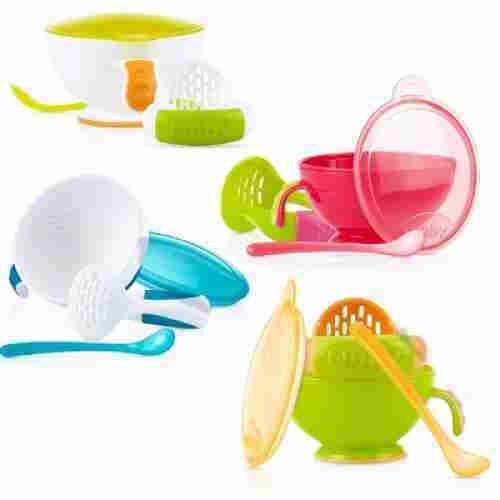 The terrific set includes the food masher, a sealing lid, a mashing bowl, and a spoon with a long handle. In one bowl you can prepare the food, mash it together, store it, and thenfeed to the infant. 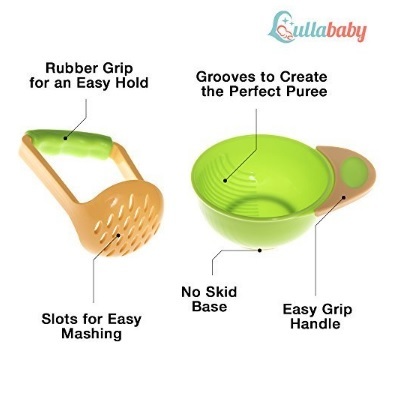 The masher has a comfortable easy-to-grip handle for the parent. The bend in the spoon allows it to effortlessly glide in and out of your baby’s mouth during meals. All of the pieces in this set are BPA free. They are easy to clean as they are machine wash safe. 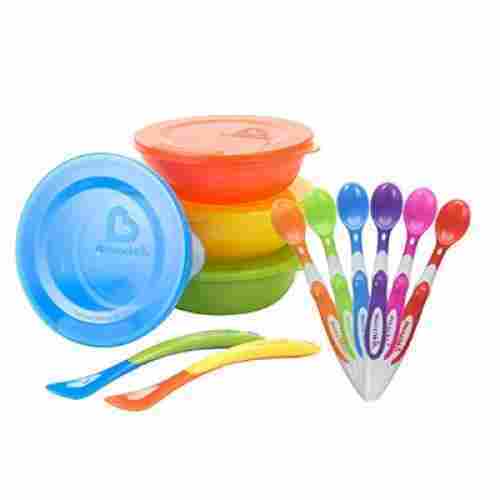 The Bumkins Suction Silicone Baby Bowl comes with a matching spoon and lid and is offered in seven bright fun colors. The accompanying spoon is double-ended to grow with the child’s needs. One side is for scooping up solid foods and the other is used for feeding purees. 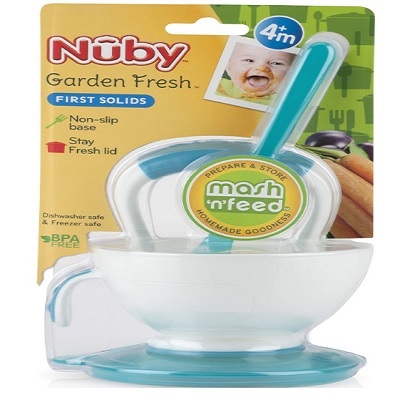 The wonderful bowl has a useful bowl handle for secure handling to make feeding easier. 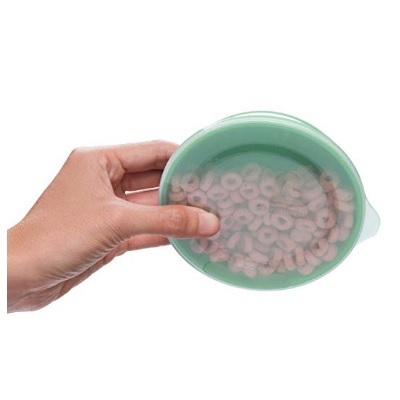 This microwavable bowl has a suction base to prevent tipping and sliding on the tray or table. This terrific product can be washed easily by the dishwasher or by hand and is made of 100% silicone that is food-grade, stain-resistant, and durable. It will not hold or promote bacteria growth and is free from lead, cadmium, PVC, BPA, and phthalates. The securely fitting lid is made of clear silicone for storing foods in the freezer or refrigerator and traveling. 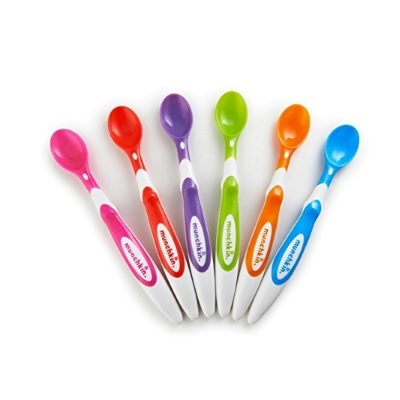 Make mealtime more fun with Munchkin's set of six brightly colored spoons and three bowls. The bowls are different sizes and have strong suction cups on the bottoms. These prevent spills and messes from sliding or turned over bowls. They include tabs for quick release of the suction bottom. The lovely spoons are gentle and soft on the gums of the baby and are just long enough to reach the baby jar bottom perfectly. The spoon handles have an ergonomic design that is ideal for the parent’s hands. These BPA-free bowls and spoons are designed to survive the dishwasher and microwave. Designed to nest together, this lightweight set is perfect for being on the go. This excellent bowl set includes everything you must have for feeding a baby. The set consists of three bowls of different sizes and colors, three forks, three spoons, and a free bowl for mashing and serving the baby food. Even a travel case is included to contain everything is a neat package. The bowls have suction cups on the bottom to prevent slipping and tipping and come with tight-fitting lids. The utensils have an ergonomic design and are easy to handle, rounded, and soft. 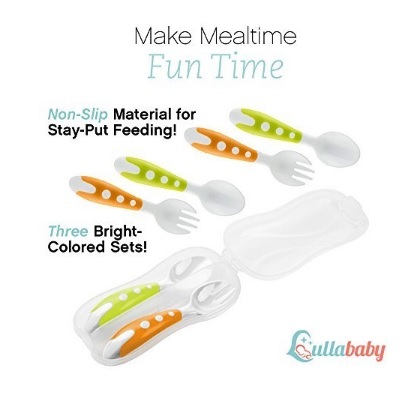 This amazing set is made to eliminate messes and make mealtime a fun time. All pieces are certified by the FDA and free of lead, latex, BPA, lead, and Phthalates. 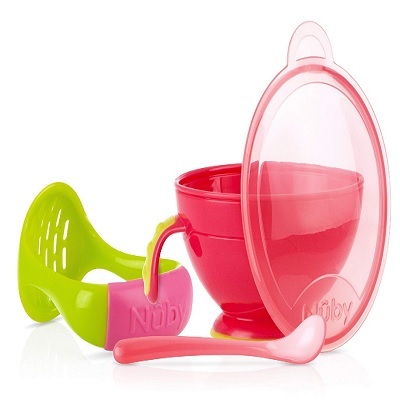 The bowls are stackable with the lids on, and the utensils will stay clean in the diaper bag with the travel case. With the mashing and serving bowl, you can make foods easily. Reviewers claim it didn’t take long for their child to figure out how to take this bowl off the high chair. Meal times with your baby just got a little easier, thanks to the Hexatal Plate/ Bowl set. Shaped like a fish, this bowl is designed with three different places for you to put your child’s food. Each spot is a different portion size to help you make sure you are serving the appropriate amount. Designed with a non-slip surface, it will remain in one place during feedings. What parent wouldn’t love less mess and fewer tipped bowls? The fish is designed to fit on almost all high chairs, thus your child can eat from their favorite bowl practically anywhere. Your child is safe to eat from this bowl as the silicone material is FDA approved and 100% eco-friendly. It does not include any BPA, BPS, phthalates, or PVC. Furthermore, the material makes it super easy to clean. 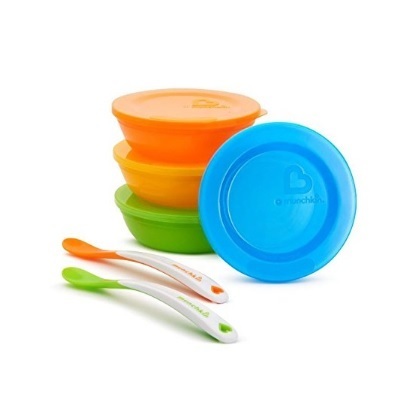 Stackable and spill-proof, the Best Suction Baby Bowls for Toddler and 6-Months Solid Feeding are dishwasher safe. 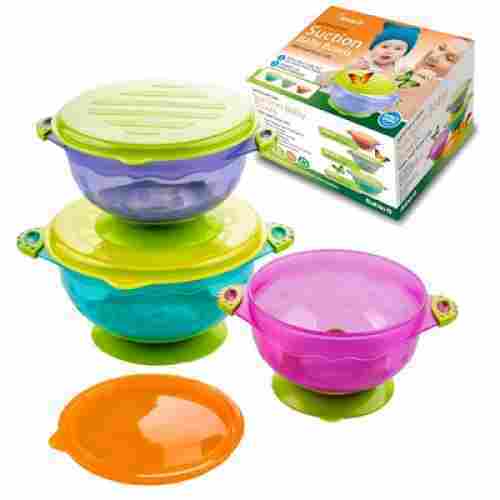 This fabulous set includes three colorful bright bowls in different sizes with tight-fitting lids. Equipped with easy to grip tabs, you will have no problem getting the lids off of these bowls. The suction seals on the bottoms will keep the bowl in one place for a safe and mess free meal. The highly durable plastic material is made without toxins, PVC, lead, Phthalates, or BPA. If your little one can’t finish their meal in one sitting, don’t worry. The lids make it easy to store it for later. With the bowls being stackable, you can even save tons of room in your cabinets or bag. 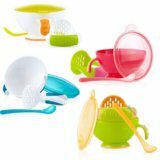 The Avanchy Baby Feeding Bamboo Suction Bowl and Spoon are offered in fourteen lovely colors and is the perfect bowl for training little ones to eat. This fabulous bowl reduces spills by attaching to flat surfaces with the suction feature. 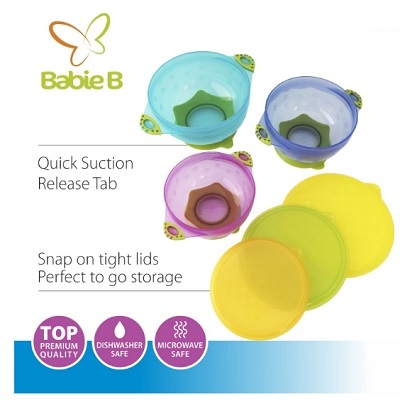 Parents can release the suction hold easily with the pull tab. 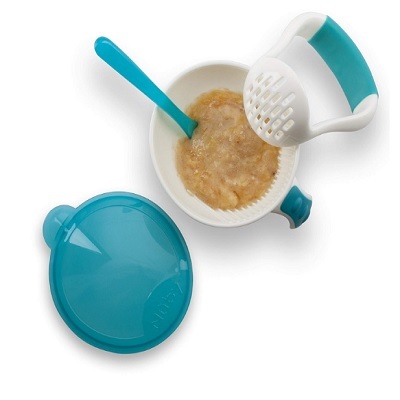 The amazing spoon has an ergonomic handle that fits both baby and adult hands well. 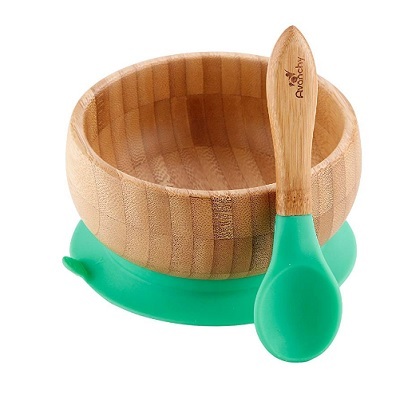 Made of sustainable, organic, and biodegradable bamboo and food-grade silicone, this great bowl set is easy to clean. Long-lasting and free of harmful chemicals, BPA, PVC, melamine, and lead, it is gentle and soft for tender little mouths. The silicone material of the spoon can be used as a soft teether that aids in self-feeding. This terrific set is approved by the FDA, UTV, and SGS, and the bamboo is strong and resistant to mildew and mold. The high durability and the suction cup on the bottom of the bowl make this a great go-to option for feeding your child in public. Available as a set of four or twelve bowls with lids, the Gerber Graduates Bunch-a-Bowls are safe for the freezer, microwave, and dishwasher. This incredible set is guaranteed to be spill-proof, leak-proof, break-proof, and stackable. Feeding multiple children with these bowls is easy as each bowl is designed with a personalization area for names. In fact, by writing the child’s name on the bowl you can be confident that children with food allergies are safe and that picky eaters will enjoy their meal. 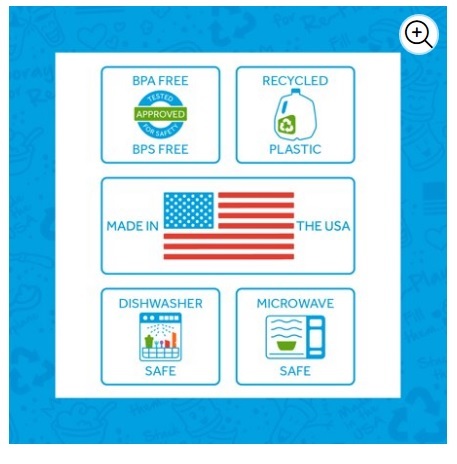 Made in the USA, these bowls are BPA-free, thus your child is safe to enjoy their next meal. 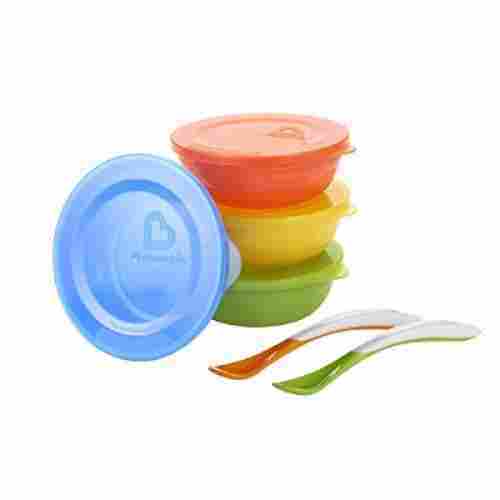 The four bowls have matching lids in bright fun colors and are great for travel and away from home. The lids lock with a snap that is audible, so you know for sure that they are closed. 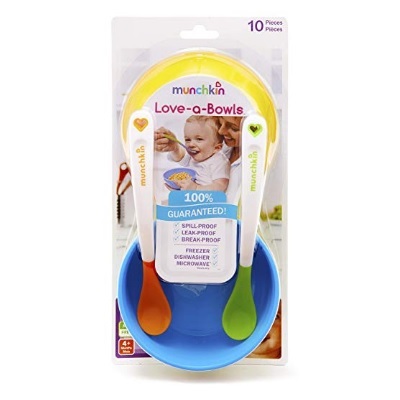 The Munchkin Love-a-Bowls is a ten-piece set of colorful bright bowls, lids, and spoons. Both the bowls and the spoons are designed not to break, leak, or spill. The terrific spoons have soft tips for feeding, and the bowls are just the right size for meals or snacks. Traveling could not be any easier with a baby, as long as you have these simple bowls and spoons as they stack so nicely. 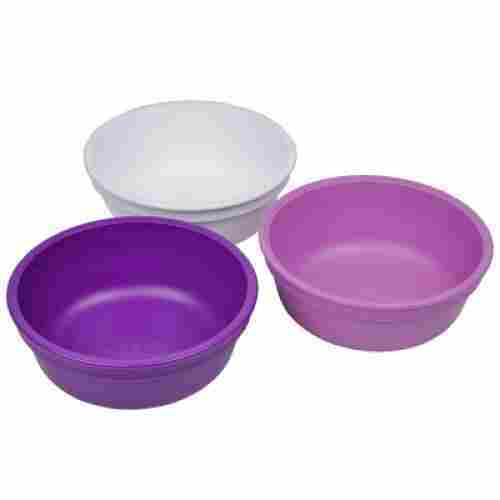 Your little one can enjoy their snacks out of this three-pack of purple bowls. These simple bowls can be used for anything almost because they are so versatile. The deep bottoms make it possible for the bowls to hold a variety of different snacks. The flat wide bottoms to decrease spills and are long-lasting and durable. Made from recycled milk jugs these bowls are FDA-approved and made in the USA. They are free from PVC, BPA, BPS, lead, melamine, and Phthalates. These incredible bowls are safe to clean in the dishwasher and warm in the microwave. The deep bottoms and 5-inch diameter may make these bowls seem rather cumbersome but they are actually pretty lightweight. 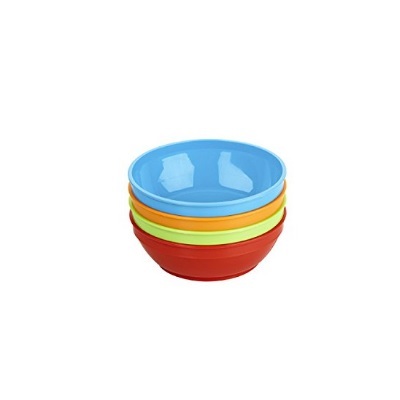 Several features on these bowls and their accessories make them just right for feeding an infant or toddler. Many of them have suction cups on the bottoms to prevent spilling and sliding on smooth surfaces. The spoons that come with some of the sets have soft, rounded tips that are gentle on the baby’s gums and ergonomic designs to fit the hands of the parent. Some have mashers to allow parents to make their own food and puree combinations easily. Lids are in some of the sets too, and these are tight-fitting to prevent spills and leaks as you store foods for eating later. With many of these bowl set being dishwasher safe, they are simple to clean and use. If they include a masher for making your own food combinations of veggies and fruit, then you can mash, feed, refrigerate, freeze, and microwave in the same bowl, if the bowl is microwavable. 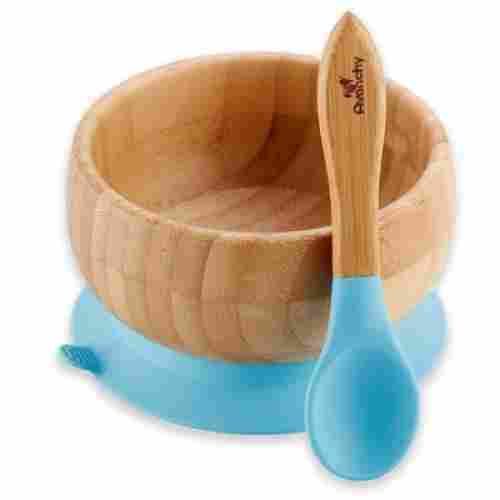 Their versatility makes these bowls best for parents and babies over ordinary bowls. Furthermore, we wanted to be sure that the bowls on this list were made without harmful toxins. We understand life is busy, which is why we wanted bowls that are easy to take on the go. 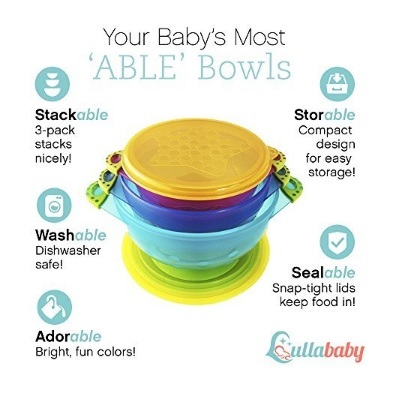 Many of the bowls on our list come with a lid, or are easy to stack and pack in the diaper bag. 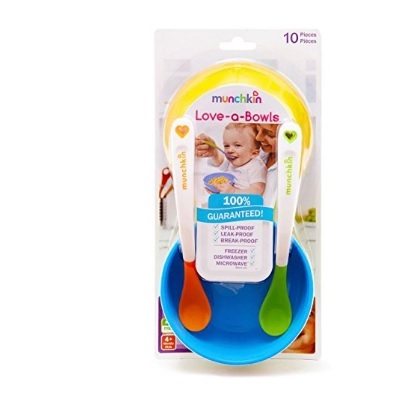 Because these bowls are versatile and small, they are ideal for baby foods and feeding. Most of them can go from refrigerator to microwave and then feeding, so no other dishes or bowls are involved in the feeding process. 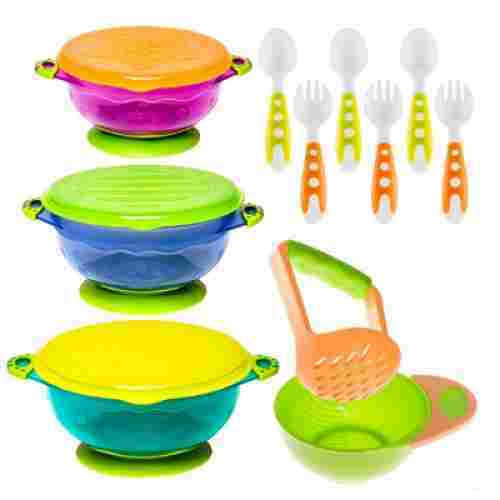 They are bright and colorful for the baby to enjoy and come in sets with utensils and mashers to complete the group. Rice Cereal is the number one most common first food for babies due to its bland taste and easy to swallow texture. Purchasing a bowl that is age appropriate for your child is beneficial in several ways. Baby bowls will help control the portions of your child's meals. Bowls designed specifically for young children will cut down on the mess. Many are designed with suction cups, deep walls, or lids to ensure that the food stays inside the bowl. 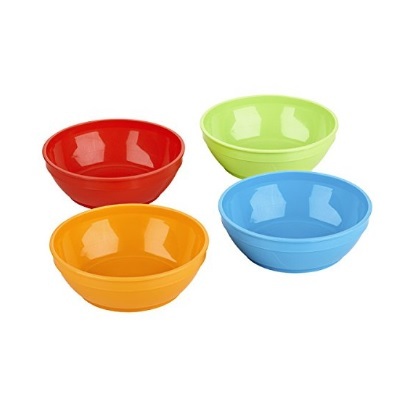 Brightly colored bowls will appeal to your child and make mealtimes more fun. 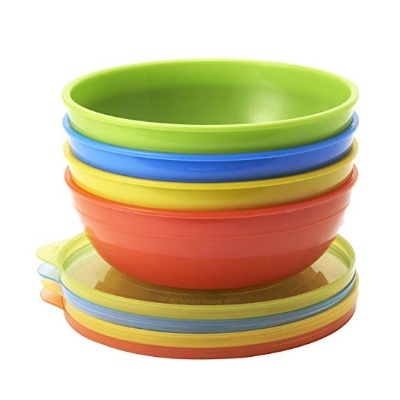 q: Are all of these bowls and sets safe for the microwave, freezer, and dishwasher? No, most of them are safe for these machines but not all of them. When it was listed by the manufacturer, we stated if it was safe in the summary sections. The freezer is fairly safe for all of these and the dishwasher but check for the ones that can be used in the microwave. They may be ruined if they are not to go in there. q: Are these bowls for certain ages of babies and children? Baby bowls can be used for any age but are mostly used when the child is ready for solid foods. They are terrific formaking your own mashed foods and purees fresh or for storing for later use. even after the child is older, they may still want to use these smaller portion bowls for snacks, fruit, vegetables, or small meals. Because they are long-lasting, you will find some other use for them or incorporate them into the family dinnerware. q: What is the most common complaint about these bowls online by customers? 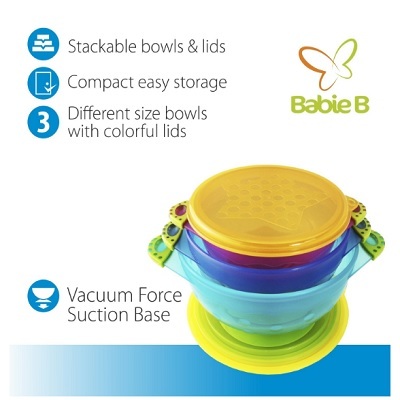 The most problematic thing about these baby bowls according to consumers is that the suction on the bottom does not hold or that the lids do not fit properly. The suction must be moistened a bit before it will stick, and wooden surfaces are not ideal for this. The lids are supposed to fit the bowls tightly to make a great leak-proof seal, but unfortunately, sometimes they do not. q: Do all of the bowls come with lids and mashers? No, not all of the bowls have lids, as a few of them are just bowls alone. The mashers come with just several of the bowl sets. We do state in the summary section of each item whether a mashed is included or not. q: Do all of them have the suction cups on the bottoms to prevent spills and sliding? No, not all o the products listed have the suction cups on the bottom. We do mention in each summary section if they have the suction cups or not. A few of them do not. q: Can any type of food be put in these bowls? es, any food item can be safely placed in these bowls. Even after the child has outgrown the baby years, kids and adults can continue to use them for foods and snacks.